Ripe with untapped opportunities for outdoor exploration, Turkey is a spectacular travel destination for adventure seekers. 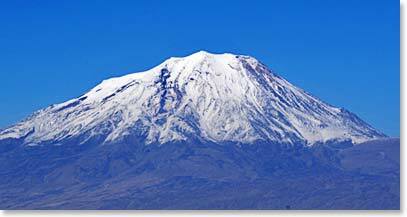 Join us as we climb Turkey’s highest mountain, Mount Ararat at 16,854ft/5,137m. A glaciated, dormant volcanic cone, Mount Ararat has long been a site of intrigue because, according to Judeo-Christian tradition, it is the final resting place of Noah’s Ark. 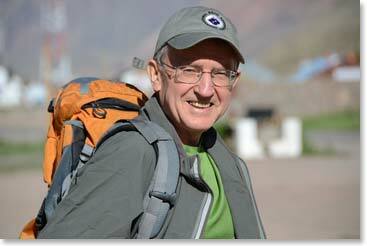 We will leave the quest for the Ark to the experts and focus on the summit, but we’ll keep our eyes open just in case. Before we venture up the mountain, we will acclimatize by exploring some of Turkey’s most exciting places. 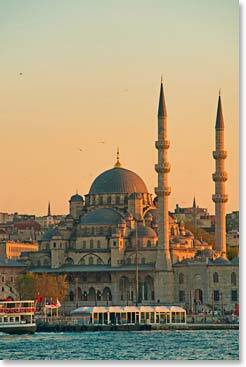 The journey begins in Istanbul, one of the world’s most historically rich cities. We take in a few of the key historic sites including the Hagia Sophia, the Blue Mosque and the Grand Bazaar. 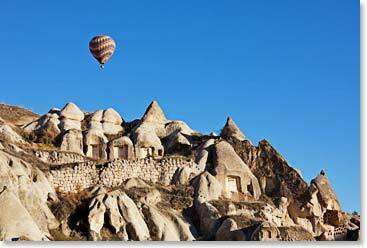 Next we head to Cappadocia where huge pinnacles of rock define the region’s lunar landscape and where buildings, including our hotel, are carved into the rocky hills. We will begin by exploring the ancient underground cities that served to protect villagers from invading armies for centuries. Then, to stretch our legs and prepare for Mount Ararat, we will climb Mount Hasan at 10,672ft/3,253m in the Cappadocia region. Finally, we head to the mountain. 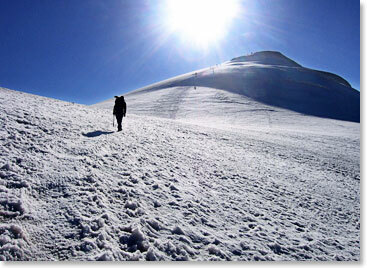 The climb involves basic glacier travel, but does not require mountaineering experience. 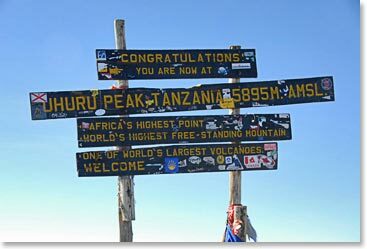 On summit day, you will walk with crampons and an ice axe to the summit, but we will practice proper techniques during our acclimatization hikes so that you will be ready. We will spend four nights/five days on the mountain. Looking for a family get-away during summer vacation this year? Our Turkey expedition is great for families. While the mountaineering required on Mount Ararat is suitable for young teenagers, we can make other travel arrangements for family members who do not want to climb. Contact our office for more information or to reserve your spot on this year’s expedition so that you can see the wonders of Turkey firsthand! 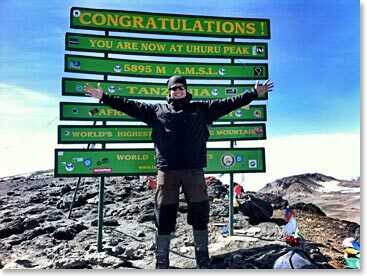 Dates for 2013 will be available soon. Visit the Turkey homepage.